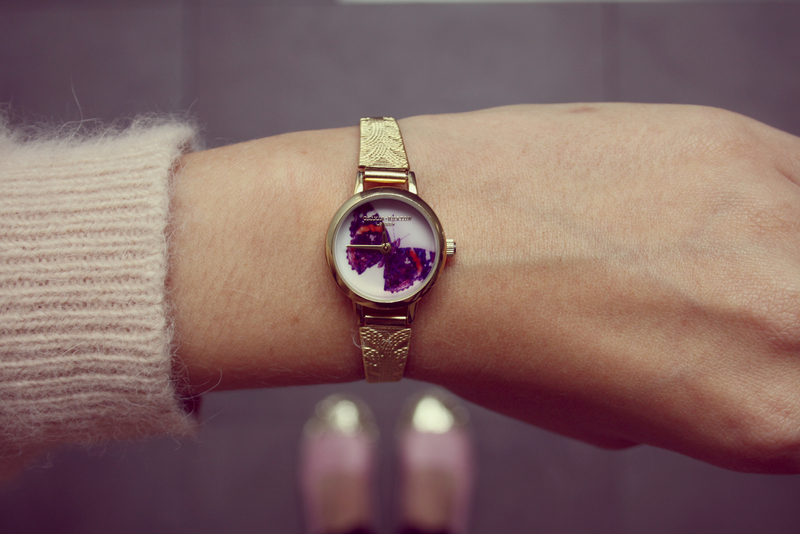 Recently I discovered the new British watch label Olivia Burton, founded by the duo Lesa Bennett and Jemma Fennings. Their designs take inspiration from vintage styles, combined with almost an obsessive attention to detail. 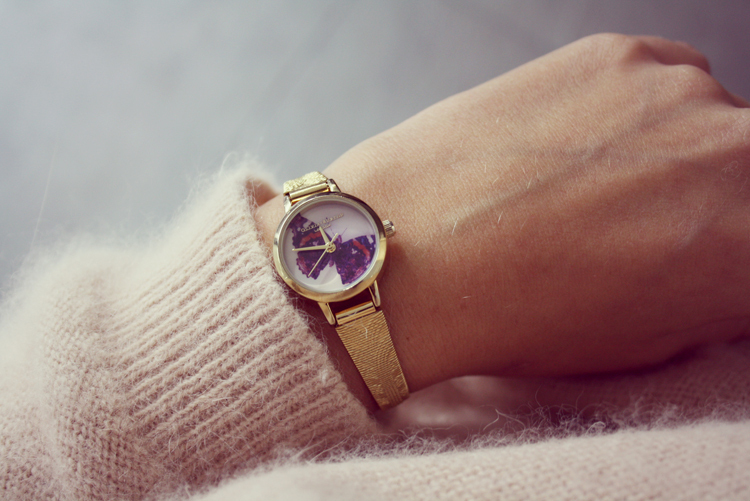 Olivia Burton has a huge variety of watches. You can choose from large to small dials with all kinds of different straps. I love the gold strap shown in the pictures, but they also feature gorgeous leather straps in the cutest colors such as coral, dusty pink, mint, lilac, powder blue and a whole range of other colors. 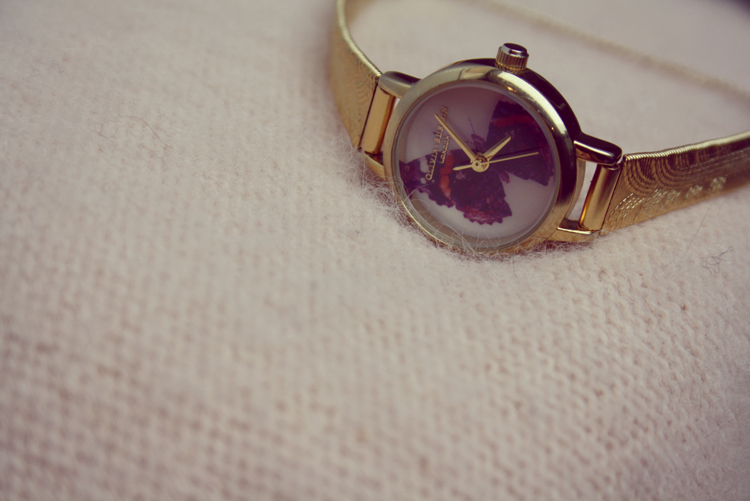 I purchased their gold butterfly watch. It’s lightweight to wear, but it definitely doesn’t feel cheap. This thin, refined and very feminine watch has a young but classic appearance and is suitable for every occasion. 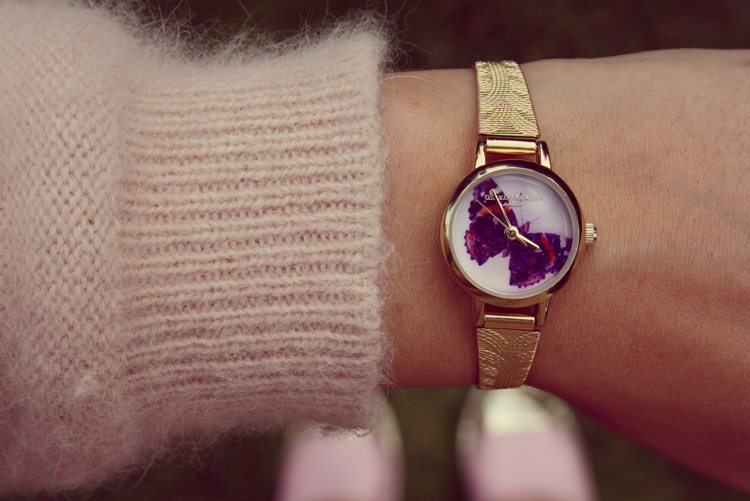 Which one is your favorite Olivia Burton watch? Posted in JewelryTagged Gold, Olivia Burton, Vintage, WatchBookmark the permalink.